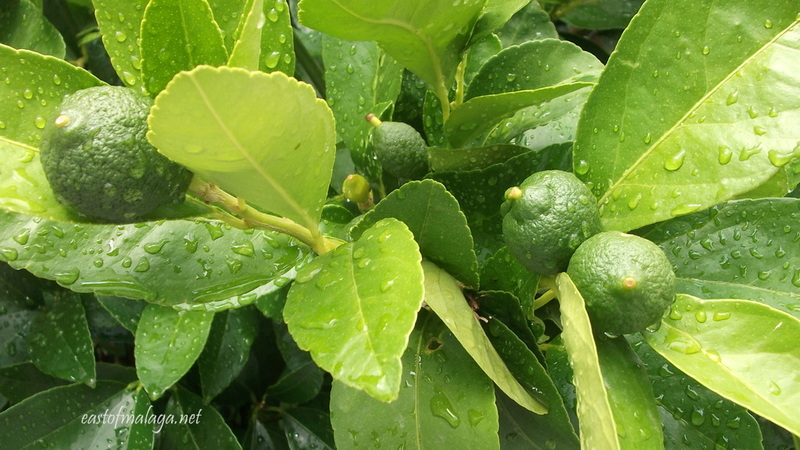 When life gives you lemons …… these little beauties are only babies yet, but it´s wonderful to be able to go into the garden to pluck them from the tree to squeeze over freshly-barbecued fish! Cheeky Monkey: Now you see him, now you don´t! This entry was tagged Andalucía, East of Malaga, Europe, garden, gardening, Malaga, photography, Spain, Travel theme, Weekly Photo challenge. Bookmark the permalink. of mine when I last picked them. So fresh … mmmmm. The smell of freshly-picked citrus fruit, fresh from the tree is wonderful, isn´t it? Wouldn´t it be possible where you live, M? I’d love to pick one of those for my ice tea this very moment! Oh, to live in a place where lemons grow in your garden! Lucky, lucky you! Oh wow, they look lovely! When they are ripe and ready to be eaten, add some plain salt and it’s a feast! Add salt to the lemons? Oh yes but not too much, it’s really very good. I like this photo because it looks as though you can just reach into the screen and pick one! Mmmmmm I like it very much Marianne!!! Lovely! And as soon as it stops raining for a while we need to get out in our garden and cut back our lemon tree – it´s gone mad in our absence!